Camilla Boemio’s curatorial practice spans art and science, combining a number of approaches from developing structures for supporting either the work of others, forms of political imaginary, existing and fictional realities to broader enquiries into forms of commonality and discursive sites, resulting in projects merging exhibitions, politics, fiction, display, public space, writing. In 2016 she curated “Diminished Capacity”, the first Nigerian Pavilion at the 15th International Architecture Exhibition La Biennale of Venice, and took part in ‘The Social’, at the 4th International Association for Visual Culture Biennial Conference held at Boston University. “The Odessa Biennale once again confronts the artist with Global problems. That, according to many authoritative experts, is one of the signs of provincialism or marginality. However, in the era of fundamental crises, and even more so – a crisis of fundamentals, the true outline of the future often encountered in the margins of canonic texts, at the boundaries, are melting in the fire of innovations. Half a century later after “Future Shock” by Alvin Toffler outstanding sales manager discovered that we are shaped by turbulent flows of V.U.C.A., volatility, uncertainty, complexity and ambiguity. Special project Curated by Camilla Boemio with David Goldenberg and Fabio Lattanzi Antinori. To quote from David Goldenberg’s fictitious press release for the 2016 version of Distributing Obsolescence: “Idea for an exhibition, that doesn’t need to take place, to do two things. Establish “an imageless art practice” and, through its construction, bring together artists that question the existing formation of art, individual and group exhibition formats, and the ready-made artist.” It’s a method but also an investigation of a state of global turbulence in which every aspect of life concerns: conflicts, strategies and expanding feelings in which contemporary art can activate debates. 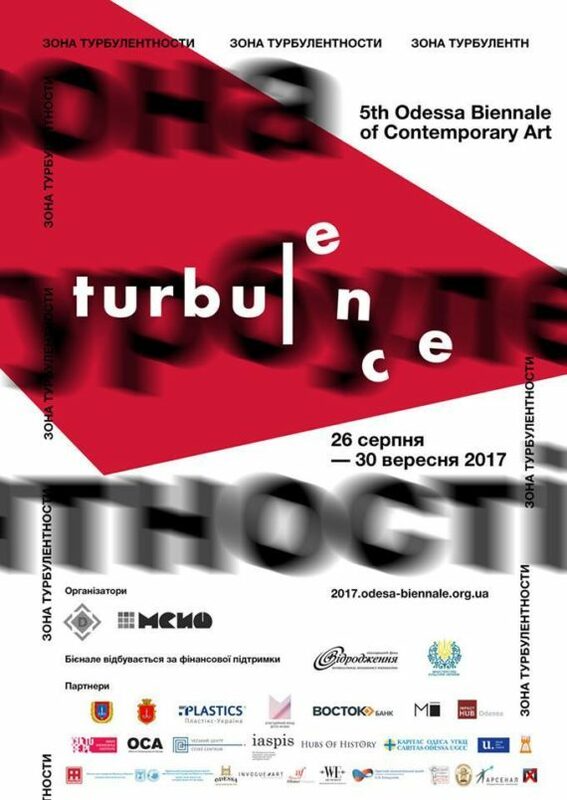 What does turbulence mean today?’ Is It possible to assemble different artistic practices in oder to perform a global vision of a crisis? We are in a programmed obsolescence state: the ultimate weapon of consumerism. A predatory economy, in which the famous words of Lautoche resound in a kind of perpetual question: Where are we going? On this level, the intellectual position finds itself facing a severe challenge head on. The basic critical perspective is actually unproductive in the face of reality as such, for it seems to easily descend into a zone of moral nihilism, lacking the competence or rigor to take action. However, the ethical views on political society and the understanding of political morality are conventional ideas that have shaped our ways of thinking. In this state art could be a source. In this state of change making the “fragments” are part of this actuality, but in a consciousness altered by links with the past and ongoing signs. The exhibition uses an atlas of art languages, in which different methods of analysis would like to tell a story of a world in complete transformation. These systems impose rules of judgment and define standards of value that self-criticism can help to read the resulting urges, and inspire conversation as a process of change-making. Goldenberg’s Installation extends Delivering Obsolescence. Part 1 pools 4 elements – organization of found domestic equipment and utensils, a fictitious press release and exhibition, found texts on temporal and cultural looping written on carrier bags, found designs for exhibitions – arranged in clusters within an ambiguous space, part Free Port, part Archaeological storage room, displaying cultural arte facts from today including art itself. Part 2 Use the material to generate activities looking at reimagining the space art occupies. Together, the material carries out a series of negations. Although installation is one of the central media of the British artist David Goldenberg, language and text form the basis of his individual works and sometimes of entire exhibitions, using language as a fragment and an act, similar to an act of speech –not only a statement, but also an action. His exhibition at The 5th Odessa Biennale is about writing, words, art language and practice, but at the same time about installation and representation. Installation becomes a modus operandi to analyze the conditions of today’s art, its saturation, the commodified use of artistic practice to the detriment of research. The work of Fabio Lattanzi Antinori, celebrates the fragile existence of mass data archives. Drawing from daily-trading figures, financial flash-crash algorithm records, news-websites, search engines results, dark pools operations and E-bay cheapest sales descriptions, Antinori manipulates these into stories of collapsed financial empires. Like the narrator of a Greek tragedy, his hand flickering on an imaginary harp as he plays the soundtrack of the predetermined collapse, transforming stock values and data entries into angelic voices who sing the chorus of inevitable catastrophe. The whole Antinori’s artworks revolve around the notion of failure and bankruptcy in the financial system and the way the language of the corporate world is affecting our notion of faith and belief. The exhibition features two works of Antinori: the video installation Belvedere and UK United, a sound installation specially created for the Biennale. Belvedere is a video made with visual compositions abstracted by transactions linked to micro-flash crash phenomena, recorded on the international markets. United UK, instead, is an audio installation where a custom software attempts to create a poetry by cross referencing the letter with which Prime Minister Theresa May started out the official divorce from the EU, with a selection of headlines on immigration, published on the social media accounts of UK newspapers (The Guardian, Times, Independent, but also Sun, Daily Mail, Telegraph etc). Originally conceived as a video, it has been expressly transformed into a sound installation on the occasion of the Biennial. For further information on any aspect of the project and documentation and CVs on the artists please contact Camilla Boemio on _and the press office of the Biennial [email protected].